PPC is evolving and as businesses find themselves in increasingly competitive markets, it’s important that any marketing activity you do, makes your company stand out from the crowd. Our dedicated paid search team is constantly involved in industry discussions and look at the latest developments to ensure we get the best results for our clients. With this in mind we decided to look further at ads in our latest eBook, and find out what makes them work. Creating adverts for your business and distributing them in the correct channels, to the right audience, is one of many techniques that can lead to increased brand awareness and sales. A deep understanding of your audience is therefore a must. You need to know, who, when and where you are targeting individuals and under what search terms. 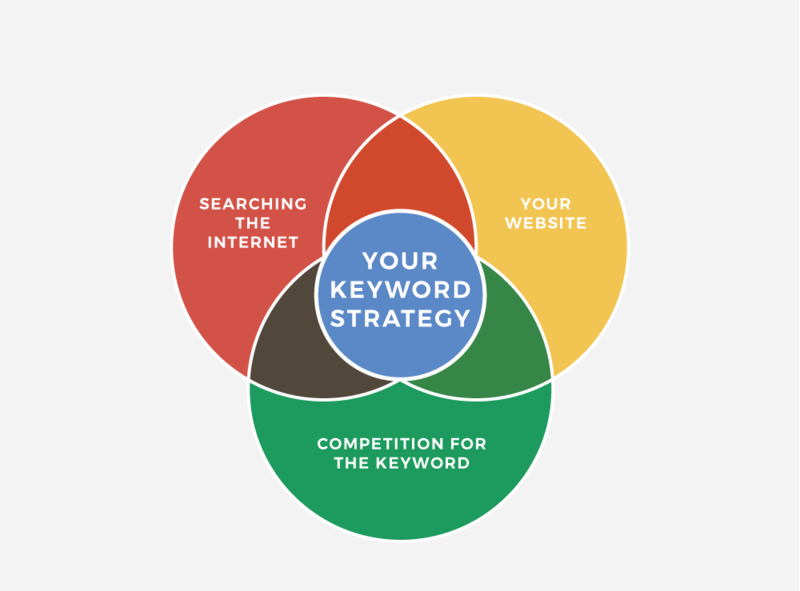 This moves us on to one of our first topics – keyword strategy. By pooling information from the three key areas in the diagram below, you should get a good read on what will attract the correct audience based you offering and subsequently, your ads should reach those most likely to engage and convert with your brand. Quality Score is another important consideration when it comes to PPC and ads. Formed as the result of Google’s analysis of your keywords and PPC ads, it is the figure by which your cost-per-click is calculated. This calculation can also give you your ad rank ready for the ad auction process. In the eBook we give you a full rundown of Quality Score, explaining how they are formed and what the determining factors are. So what are you waiting for? Download your copy here.